What’s Eating Gilbert Grape, the story of a struggling family in Iowa, began filming in Texas in the Fall of 1992. Had you told me then that the quirky film would come to be called a "classic," I must admit that I probably would have laughed. was to be directed by Swedish filmmaker Lasse Hallström, whose music videos for ABBA were the only pieces of his work that might have been familiar to most Americans, and this was to be only his second American film. Moreover, the film would star two young guys who were arguably best known for being on TV. Even now, that doesn't necessarily sound like it would work. Over time, though, What’s Eating Gilbert Grape has proven that it works. The film opened for a “limited release” on December 17, 1993, presumably for Academy Awards® consideration, and it ended up with an Oscar® nomination for Leonardo DiCaprio for Actor in a Supporting Role. While the film wasn’t a box office hit upon its wide release on March 4, 1994, the movie has indeed come to be regarded as a classic. 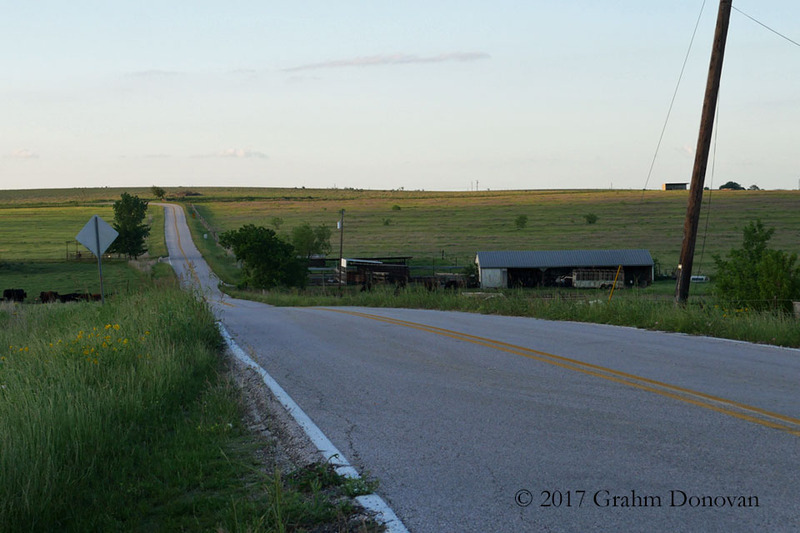 While What's Eating Gilbert Grape was set in the fictional town of "Endora, Iowa," the movie was filmed in and around Manor, Texas (which is really pronounced "May-ner"). SPOILER ALERT: The descriptions below include plot points of the film. The film is available to watch online through Amazon Video. Along a country road, Gilbert Grape (Johnny Depp) keeps watch over his intellectually disabled brother, Arnie (Leonardo DiCaprio), as Arnie chases after a convoy of drivers hauling Airstream trailers, until one of the vehicles breaks down on the road. 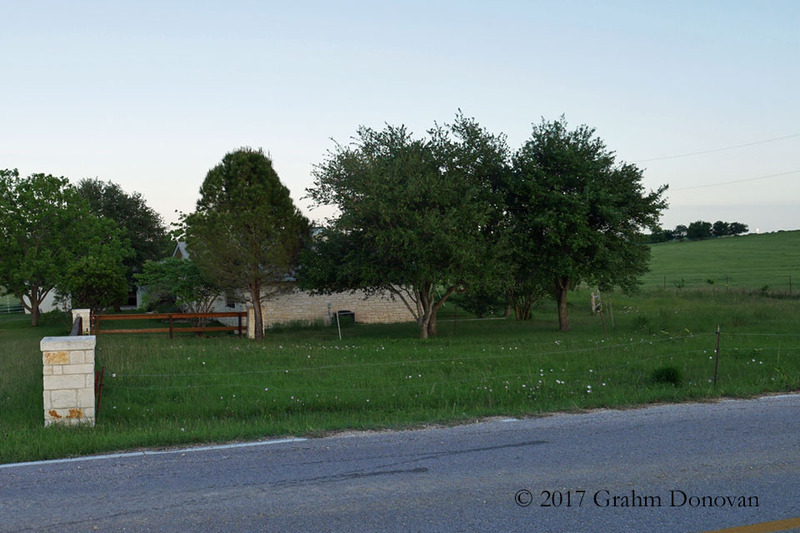 Exclusive: The location where Arnie chases the Airstream trailers is on the road near a private home at 20117 Melber Lane, Manor, TX 78653. Reference: I found this location, after I knew the site of the Grape family's home, by searching Google Maps to find a curve in the road to match what was seen on-screen, then I confirmed it in person. I haven't seen this location listed anywhere else on the Internet. The film takes place in fictional “Endora, Iowa,” and the town’s main block is seen throughout the film. Gilbert works at Lamson’s Grocery, where Arnie often joins him, and Gilbert eats at the Ramp Cafe with his friends Tucker Van Dyke (John C. Reilly) and Bobby McBurney (Crispin Glover). Downtown Endora from the film is actually the 100-block of E Parsons St, Manor, TX 78653. 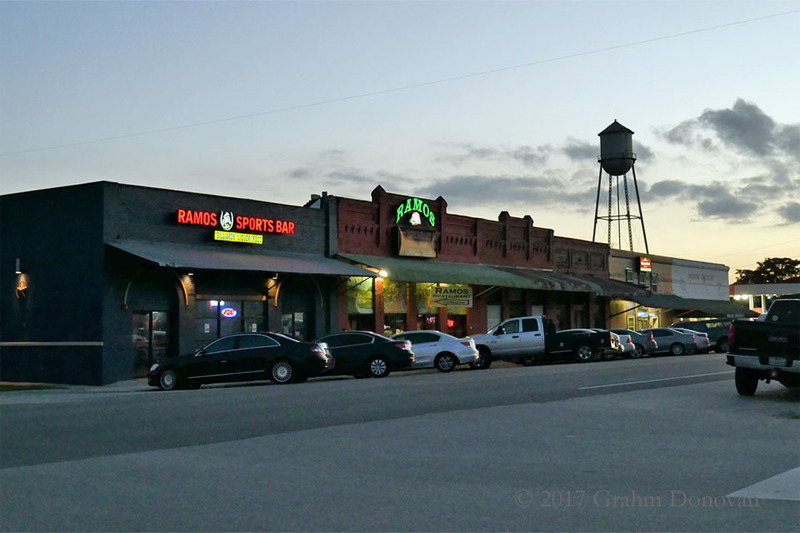 Lamson’s is the real Manor Grocery, 102 E Parsons St, Manor, TX 78653, and the friendly people at the store are still happy to talk about the time the movie was filmed there, so be sure to stop in. The "Dairy Dreme" building, where young Ellen Grape (Mary Kate Schellhardt) worked, has been torn down. Reference: The primary locations of this downtown are listed in many places online, but I first learned of it on the Liam's United States of Cinema blog. Lamson’s is the type of old-fashioned store that offers home delivery, and Gilbert often takes groceries to the Carver family home. Lonely housewife Betty Carver (the always luminous Mary Steenburgen) especially looks forward to Gilbert’s visits when her husband is at work. A ranch house at 600 S Railroad Avenue, Pflugerville, TX 78660 played the Carver house in the film, and there's water tower in the background that is supposed to be the one in downtown Endora. Reference: I found this site thanks to a blog post from Walking with Cake, which is well worth reading. 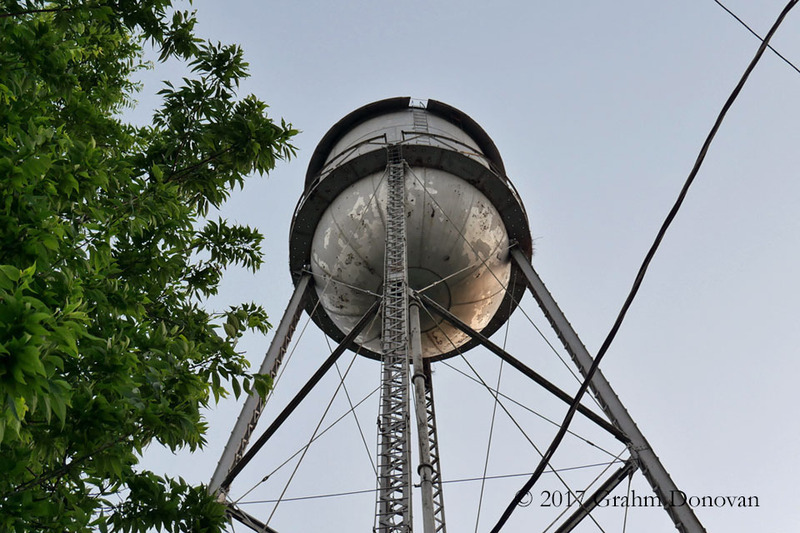 From the Carver house, Gilbert looks over to see a figure climbing the town’s water tower. 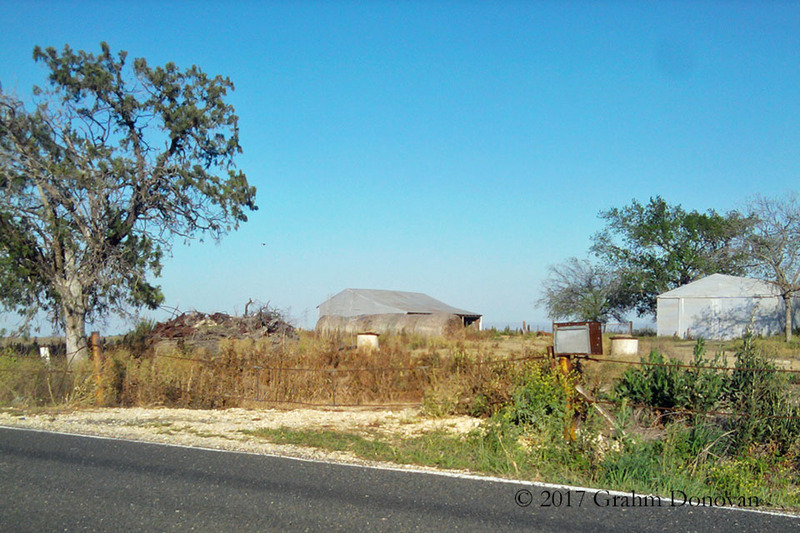 In reality, the water tower that plays a key role in the film is 10 miles from the Carver house, on the 100-block of W Parsons St, Manor, TX 78653, next to the downtown Endora locations. Reference: I confirmed this location thanks to a post on the Slackerwood blog. The water tower is now fenced off for public safety. As Gilbert has been carrying on with Betty Carver, he’s wary of accepting the offer from her husband, Ken (Kevin Tighe), to visit the Carver’s Insurance office. 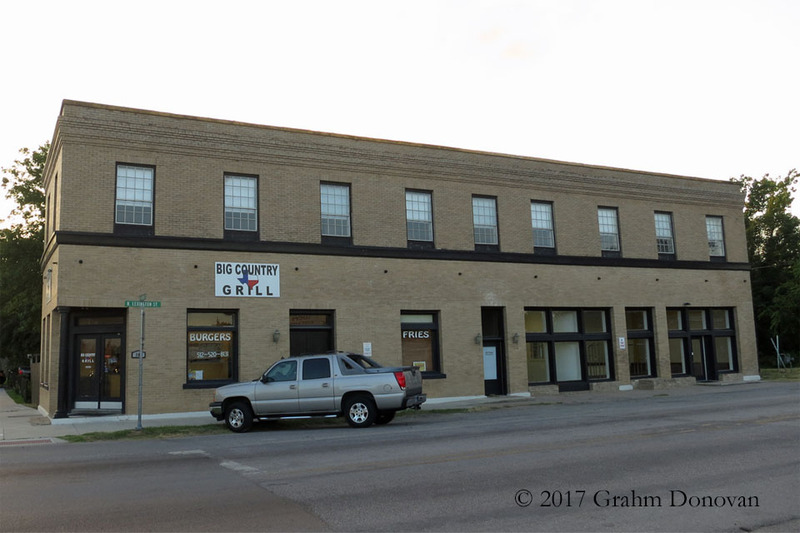 The Carver's Insurance office was located in a structure known as the Kouri Building, 101 S Lexington Street, Manor, TX 78653. The office space used in the film now houses Remember Me Tattoos. Reference: I found this site posted on a Facebook page for the Kouri Building. Gilbert’s life takes an unexpected turn when Becky (Juliette Lewis) and Becky's Grandma (Penelope Branning) experience mechanical trouble with their International Harvester Travelall and are forced to camp in their Airstream trailer beside a local pond. 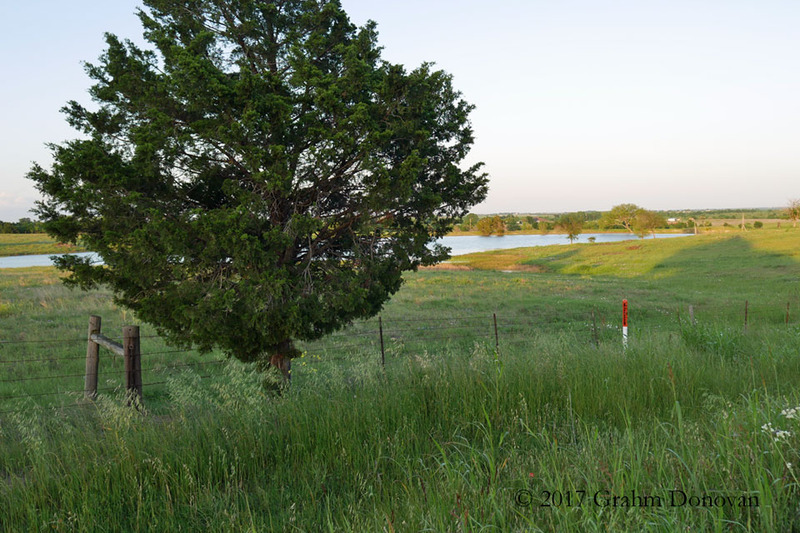 Exclusive: I’m about 95% certain that the campsite filming location is along Schmidt Loop, Manor, TX 78653, but I don't have independent confirmation. Reference: I determined the site via Google Maps by searching for bodies of water that matched the relationship to the road, and I haven't seen this site listed anywhere else on the Internet. The Grape family lives in a large, dilapidated home that appears to be on the outskirts of Endora. 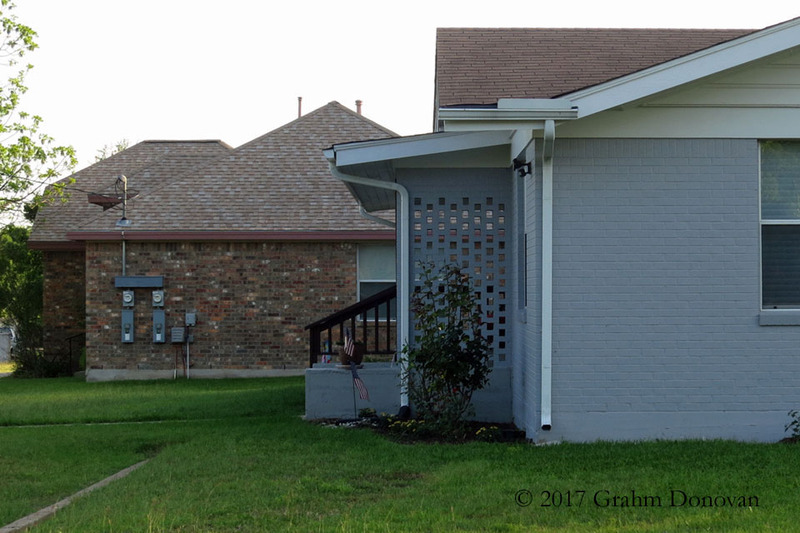 Exterior scenes of the home were filmed at a storm-damaged building on Hodde Lane, Pflugerville, TX 78660, but the home is no longer standing. 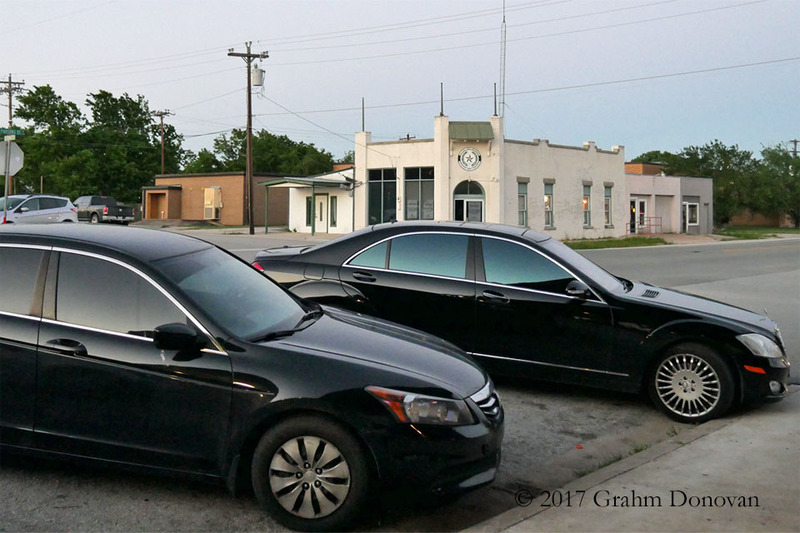 Reference: The location of the exterior scenes is spelled out in the terrific book The Movie Lover's Tour of Texas: Reel-Life Rambles Through the Lone Star State by Veva Vonler. Laura Harrington delivers a superb performance as Amy Grape, the older sister fighting to hold the family together. I am just mesmerized by her nuanced work in the birthday scene, so pay attention when you watch it again. Mary Kate Schellhardt is equally terrific as the younger sister, Ellen, whose barely contained anger comes across as understandable, given the circumstances of her life. Darlene Cates, as Bonnie Grape, has received well-deserved accolades over the years. She does some excellent acting for someone making their film debut, and she puts more heart into the role than many more well-known actors. Sadly, Cates passed away on March 26, 2017, but this performance will live on as a tribute to her.